Remember how painstakingly we had to refer a case to a specialist describing the wound or x-ray finding, plus the interpretation of anything in medical lies on the eye of the beholder, so describing it over the phone could lead to medical error. Sending a picture using Whatsapp, within minute, a more correct diagnosis can given. It's good for patient, it's good for everyone. 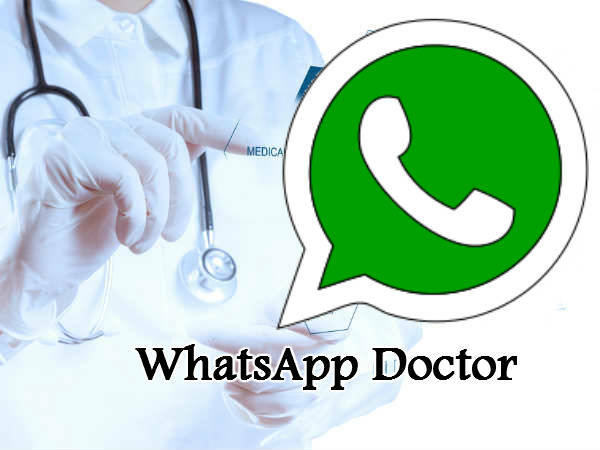 But wait.... Is Whatsapp or Social messaging app the best and magical invention for medical field. Is this the miracle communication tools that any doctors dream of? Recently, there were some incident happen when someone (somewhere in the world) accidentally shared a list of HIV Clinic regisrtation to a wrong person causing quite a havoc, a breach in patient confidentiality. Even in our beloved Malaysia, there were here and there people start criticising medical personnel due to sharing of pictures which, somehow, can/possible to cause humiliation to patient. Whatsapp or any social messaging platform is there with its consequences. Everything too good to be true must have an ugly side of it. To think about it, we should not take this lightly, as a doctor with intergrity, patient confidentiality should be protected at most. A few things should be thought to all doctors on the ethics of using social messaging platform in sharing patient information. 1) This includes deleting all those image of results, imaging picture, name and identification number after consultation has been made. This apply to both sender and receiver of the message. 2) Sharing information on a group consist of medical personnel must be made with cautious. Care has to be taken to make sure that all the participant in that group were all doctors or medical personnel that are aware of patient confidentiality and medical ethics. 3) Social messaging group must be monitores by a superior or someone appointed to make sure no medical ethics were breached. One of medical related group I had in my previous hospital consist of our Hospital Director to make sure that no one is making the mistake of sharing sensitive patient issue. (However this measure will not be tolerated by many, as freedom of speech kind of reduced when your boss was inside that group. 4) All information inside the group should be deleted by the group members after discussion of the case is complete. Education need to be given to all medical personnel regarding this matter. Up until now, I have not seen any measure of education given regarding this. The only thing that ever came out from the top was a statement prohibiting people to refer or discuss case using social messaging platform. That was ridiculous and somewhat moving backward. Its like when car accident happen, you told people not to use car anymore. Thus, education for me is much more needed in medical sector now. So that every medical personnel knows what are the thing that they need to protect or else, picture of a patient wound, x-ray or anything else could be circulating around without control. The ultimate solution for this was a platform which are more secure and more spesific. I have read a few days ago regarding a new app call BackLine which was introduce in the US. This platform is more secure and it have its own mechanism on preventing patient information to be leaked to the public. Plus, I believe because it was reliable, doctor can even use that app to give discharge note or discharge plan. I have no idea on how that platform work actually because obviously, I am no one to be using that app which promised to give a secure way for doctors to communicate. Perhaps, we should developed some kind of app which can only be used and participate by doctors or medical personnel that involved in patient management. Something like what MMA introduced recently, Docquity, which can only be entered by registered MMA members and it does look like facebook but more secure because public can't access the app. We need a solution fast to make sure no complication happen in the future. As a man in science, medical doctor should eventually keep up and use technology to make sure that we are still relevant today. Let's head for that better, secure and reliable platform for doctors.